In Spanish, the “b” and the “v” are almost the same sound. They are both pronounced like an English “b”. So, for example, when you say the word for “wine”, “vino” you should really pronounce it “bino”. The English “v” sound does not exist in Spanish. If a word begins with a “v” it is identical to the English “b” sound. However, if the “v” occurs in the middle of a word, or after an “m” or “n”, it is a softer sound, which we do not have in English. It is more of a combination sound between a “v” and a “b”, a softer “b”. It is like an English “v” but with the two lips touching instead of the lower lip and teeth. Because the “b” and “v” sound the same in Spanish, this causes spelling problems for both Spanish people as well as people learning Spanish. Therefore you often see certain words spelt differently. For example, “cebiche” is sometimes spelt “ceviche”, (a shellfish dish). So when spelling words out loud, to distinguish between the sounds you often hear the letter “b” “be alta” or “be larga” and the “v” as “be baja” or “be corta”. I know from experience that not pronouncing a word in the correct way can lead to misunderstandings. When I first started living in Spain, I remember not pronouncing a word spelt with “v” as a “b” sound and I was therefore not understood. However, as soon as I pronounced it with a “b” sound, I was understood straight away. “Ella tiene miedo a las alturas.” She is scared of heights. Now you know how to say the numbers zero to ten in Chinese, which is really quite impressive. What about the rest of the numbers? Before we begin, let’s go through some very simple maths. Here are the numbers in Chinese from 0 to 10, and there are some ‘silly’ tips to help you remember them. Please notice that the sounds of the numbers are underlined. The sounds of the numbers are easy, don’t worry about the tones, we will look at them later. The best way to memorize these numbers is to break it down into two parts, one to five and six to ten, and just keep on repeating them. Repeat to remember and remember to repeat. The Chinese invented many things in the past, and it’s not surprising that they also invented the number system, according to Professor Lam Lay Yong from National University of Singapore Mathematics, that the Chinese invented the number system and were adding, subtracting, multiplying and dividing as early as 475BC, almost 1,000 years before the Arabic and Egyptians, and they simply used bamboo rods. It’s no doubt that the numbers play a very important role in our lives, and in Chinese culture, people believe that some numbers can bring good luck and certain number can bring bad luck. There is no doubt about it that one of the easiest and most entertaining ways to learn a language is from watching television. Telenovelas or Culebrones (long snakes) are like soap operas but instead of running on an ongoing basis, they are shown for a definite amount of time, say a year, so that they have a beginning, middle and an end to the storyline. Each episode is known as a “Capítulo”. By listening to native speakers using everyday language spoken on the streets you will pick up not only a good accent but also useful expressions that you may not find in a dictionary or grammar book. 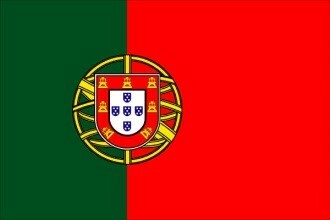 • Portuguese is spoken by over 230 million people. • It is the sixth most widely spoken language in the world. • Portuguese is spoken in four continents: Europe, South America, Africa and Asia. • It is the official language of eight countries: Angola, Brazil, Cape Verde, East Timos, Guine-Bissau, Mozambique, Portugal, and São Tome and Principe. • It is the third most spoken European language after English and Spanish. • Brazil has a Portuguese speaking population of 190 million. • Brazil is a 21st century economic powerhouse. The 5th largest economy in the world. • Portuguese speaking countries have an incredibly interesting history, culture and gastronomy. • Portuguese speaking destinations make for great holiday choices.